A collaboration between international development organisation Transaid, the National Malaria Elimination Center (NMEC) of Zambia, Health Partners International, Development Data, Disacare and Medicines for Malaria Venture to develop innovative approaches to improve severe malaria case management in rural areas. See how this project is having a life-saving impact. 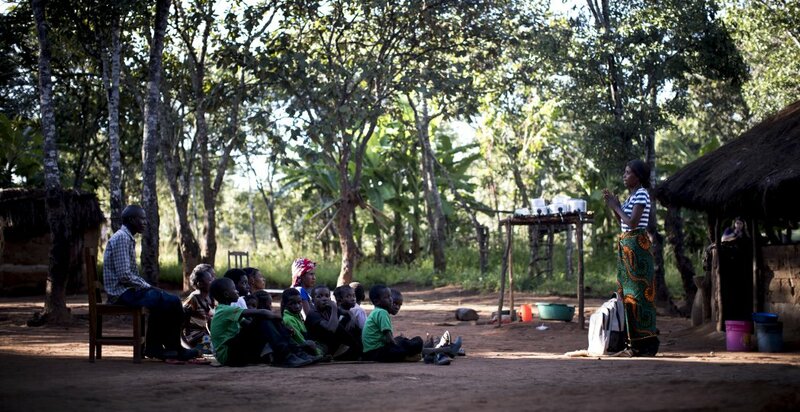 Film produced by the Bill & Melinda Gates Foundation. Although Zambia recorded a decline in the incidence of malaria from 407 cases per 1,000 population in 2014, to 336 cases per 1,000 population in 2015 (MOH), an estimated 7,100 deaths from malaria occurred in 2015. Children under 5 are the age group most susceptible to severe malaria due to lack of immunity. It is vital to ensure that entire communities are mobilised to support timely access to treatment. 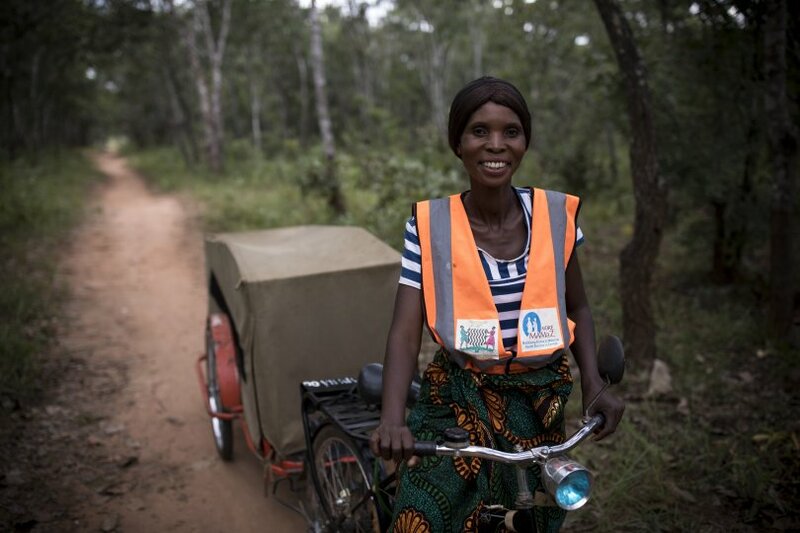 Transaid, Health Partners Zambia (HPZ), Development Data and Disacare, together with funding from Medicines for Malaria Venture, will increase access to severe malaria care-and-treatment in Zambia using RAS at community level. Rural emergency transport systems will also be strengthened in the intervention district through the use of bicycle ambulances. Overall, the pilot aims to reduce barriers and delays to seeking treatment, increase patient referral at the community level and optimise case management of severe malaria at a facility level. The project, known as MAMaZ Against Malaria (MAM), aims to address the lack of access to quality severe malaria treatment commodities and case management in Serenje District, Central Province, Zambia, which has high malaria prevalence rates. In line with WHO guidance, optimal case management of severe malaria in remote areas involves use of rectal artesunate suppositories (RAS) for pre-referral treatment of severe malaria at the community level, followed by injectable artesunate (Inj AS) treatment at the health facility level. The two organisations will help to pilot the introduction of RAS, and will seek to reduce barriers and delays in seeking treatment at the community and at the facility level, including by strengthening emergency transport systems. The project will serve as a pilot to inform development of an evidence-based and sustainable strategy for improving nationwide access to successful management of severe malaria in high-malaria-burden settings. The project, taking place in Serenje District, Central Province, builds on the successful Mobilizing Access to Maternal Health Services in Zambia (MAMaZ) and the MORE MAMaZ programmes which were implemented between 2010 and 2016 with funding from UKAid and Comic Relief, respectively. Evidence from this project will be used to support a sustainable strategy for improving nationwide access to successful management of severe malaria in a high-malaria-burden setting.